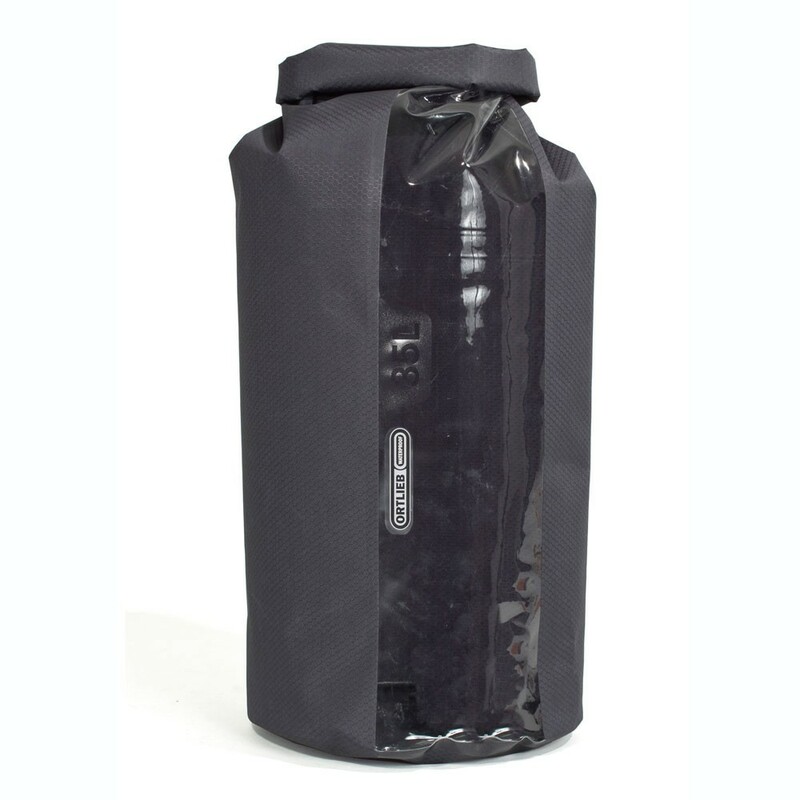 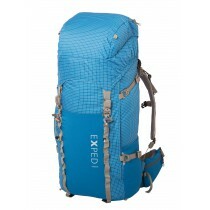 Sturdy drybag with roll closure and transparent window. 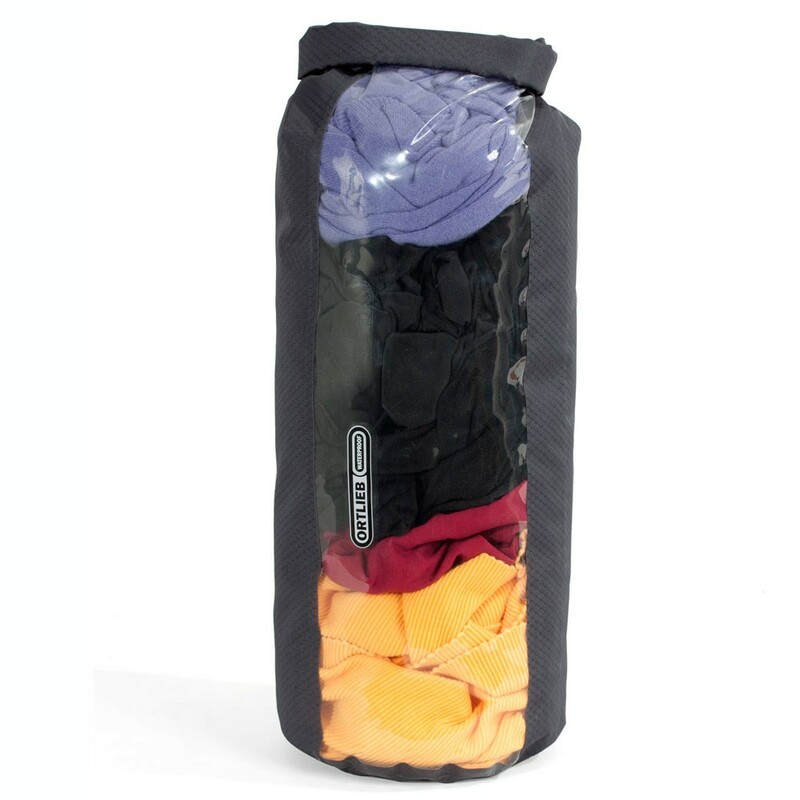 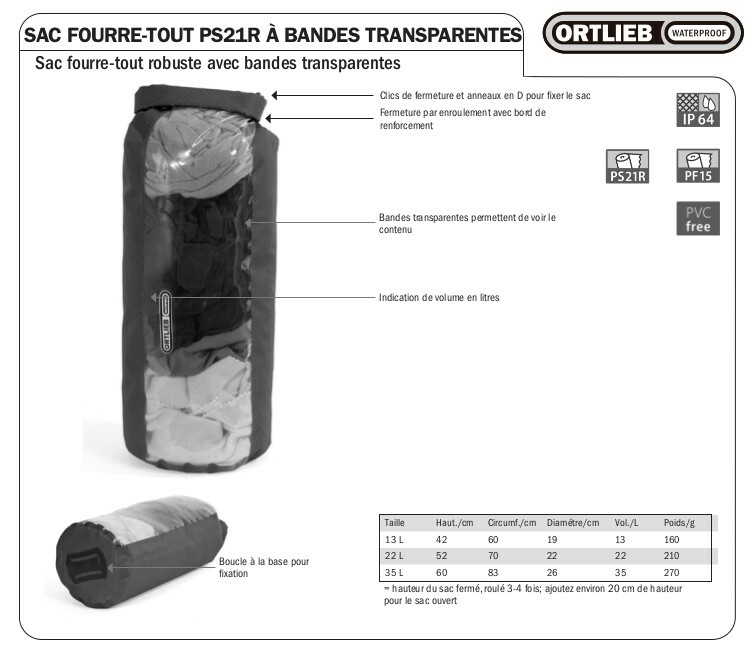 Transparent window allows identification of contents without opening the drybag. 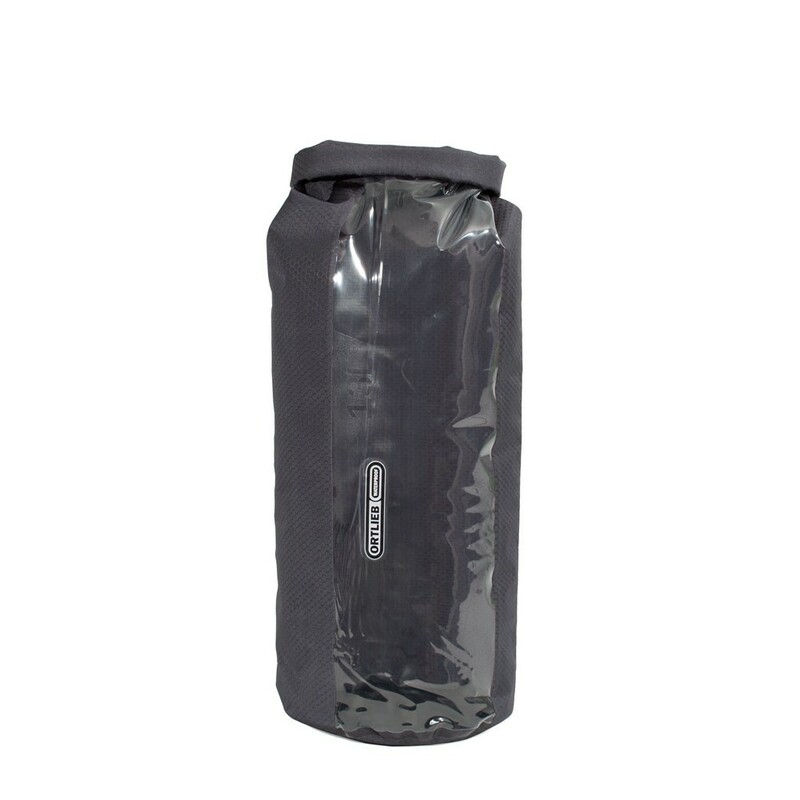 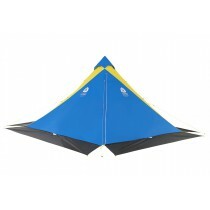 Extremely tear resistant fabric combined with a folding resistant transparent foil.